You know this thing about Miles from Tomorrowland Games? In this category you will meet the characters from your favorite Disney Junior series, Miles from Tomorrowland, with who you will have a great time and a lot of exciting adventures. 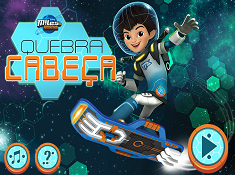 The category with Miles from Tomorrowland games is presented in exclusivity for Miles` fans, both girls and boys only bu our site, cute-games.com. In Miles from Tomorrowland Games you can find 18 games that we've published for these kids and childrens that are interested to play Miles from Tomorrowland Games, this game gategory have been created on 13.04.2016. These games with Miles from Tomorrowland Games have been voted 1 times and the avarage of vote is 5.00 stars. We advice you to play the last flash game from Miles from Tomorrowland Games, Robo Penguin Rescue that have been published on 03.04.2017 06:26. 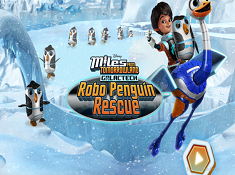 Robo Penguin Rescue its a part of Miles from Tomorrowland Games category and until now its played 1246 times. Try it now on Cute-Games.com! If your like the Robo Penguin Rescue game you can write a comment in the game page. Recommend this game to your friends if you like it! Miles From Tomorrowland Painting its a part of Miles from Tomorrowland Games category and until now its played 1011 times. Try it now on Cute-Games.com! If your like the Miles From Tomorrowland Painting game you can write a comment in the game page. Recommend this game to your friends if you like it! Miles From Tomorrow Online Coloring its a part of Miles from Tomorrowland Games category and until now its played 941 times. Try it now on Cute-Games.com! If your like the Miles From Tomorrow Online Coloring game you can write a comment in the game page. Recommend this game to your friends if you like it! 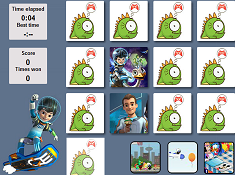 Miles From Tomorrowland Sort My Tiles its a part of Miles from Tomorrowland Games category and until now its played 893 times. Try it now on Cute-Games.com! 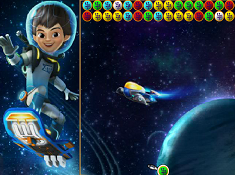 If your like the Miles From Tomorrowland Sort My Tiles game you can write a comment in the game page. Recommend this game to your friends if you like it! 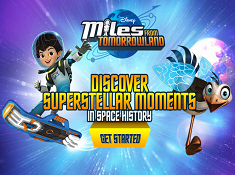 Discover Superstellar Moments its a part of Miles from Tomorrowland Games category and until now its played 1031 times. Try it now on Cute-Games.com! If your like the Discover Superstellar Moments game you can write a comment in the game page. Recommend this game to your friends if you like it! 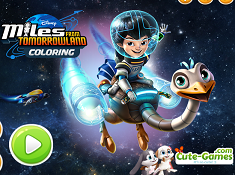 Miles From Tomorrowland Coloring its a part of Miles from Tomorrowland Games category and until now its played 3560 times. Try it now on Cute-Games.com! 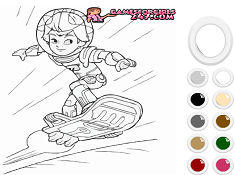 If your like the Miles From Tomorrowland Coloring game you can write a comment in the game page. Recommend this game to your friends if you like it! Miles from Tomorrowland Blastastic Rescue its a part of Miles from Tomorrowland Games category and until now its played 1673 times. Try it now on Cute-Games.com! If your like the Miles from Tomorrowland Blastastic Rescue game you can write a comment in the game page. Recommend this game to your friends if you like it! Blast Off Into Space With Miles its a part of Miles from Tomorrowland Games category and until now its played 1645 times. Try it now on Cute-Games.com! 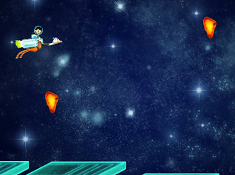 If your like the Blast Off Into Space With Miles game you can write a comment in the game page. Recommend this game to your friends if you like it! Miles Memory its a part of Miles from Tomorrowland Games category and until now its played 1245 times. Try it now on Cute-Games.com! If your like the Miles Memory game you can write a comment in the game page. Recommend this game to your friends if you like it! Puzzle Miles and Merc Playing its a part of Miles from Tomorrowland Games category and until now its played 3713 times. Try it now on Cute-Games.com! If your like the Puzzle Miles and Merc Playing game you can write a comment in the game page. Recommend this game to your friends if you like it! 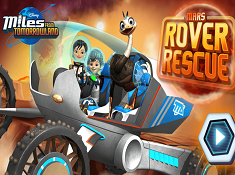 Mars Rover Rescue its a part of Miles from Tomorrowland Games category and until now its played 1870 times. Try it now on Cute-Games.com! If your like the Mars Rover Rescue game you can write a comment in the game page. Recommend this game to your friends if you like it! Adventures of Miles its a part of Miles from Tomorrowland Games category and until now its played 1024 times. Try it now on Cute-Games.com! If your like the Adventures of Miles game you can write a comment in the game page. Recommend this game to your friends if you like it! 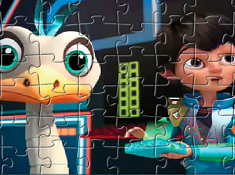 Puzzle Miles and Merc its a part of Miles from Tomorrowland Games category and until now its played 1105 times. Try it now on Cute-Games.com! If your like the Puzzle Miles and Merc game you can write a comment in the game page. Recommend this game to your friends if you like it! Miles From Tomorrowland Puzzle its a part of Miles from Tomorrowland Games category and until now its played 1363 times. Try it now on Cute-Games.com! 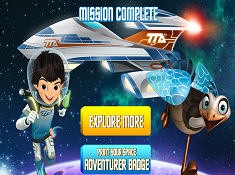 If your like the Miles From Tomorrowland Puzzle game you can write a comment in the game page. Recommend this game to your friends if you like it! Memory Miles From Tomorrowland its a part of Miles from Tomorrowland Games category and until now its played 1079 times. Try it now on Cute-Games.com! If your like the Memory Miles From Tomorrowland game you can write a comment in the game page. Recommend this game to your friends if you like it! 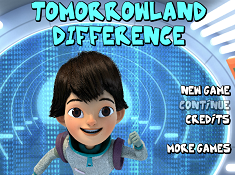 Tomorrowland Difference its a part of Miles from Tomorrowland Games category and until now its played 1012 times. Try it now on Cute-Games.com! If your like the Tomorrowland Difference game you can write a comment in the game page. Recommend this game to your friends if you like it! 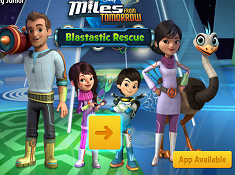 Miles Bubble its a part of Miles from Tomorrowland Games category and until now its played 1028 times. Try it now on Cute-Games.com! If your like the Miles Bubble game you can write a comment in the game page. Recommend this game to your friends if you like it! 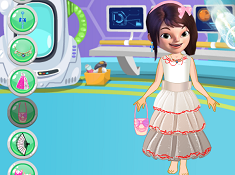 Loretta Callisto Princess Dress Up its a part of Miles from Tomorrowland Games category and until now its played 1755 times. Try it now on Cute-Games.com! If your like the Loretta Callisto Princess Dress Up game you can write a comment in the game page. Recommend this game to your friends if you like it! 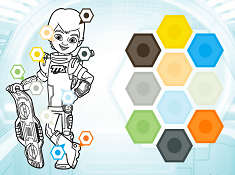 Find More About Miles from Tomorrowland Games! Miles from Tomorrowland Games is one of the newest category of games appeared only here on cute-games.com, on of the best sites of games in the country that will bring you beautiful games with your hero, Miles. He is the main character from the series Miles from Tomorrowland that appears on Disney Junior for all the kids around the world, boys and girl. In this category with Miles from Tomorrowland games you have to work hard to accomplish your goal successfully, in order to get a lot of points. The points are important in this games with Miles from Tomorrowland because you can reach the top of the best players if you succeed to earn a lot of them. For that you have a lot of work to do and you need to be persistent in this category with Miles from Tomorrowland games. You have to learn from your mistakes every time in order not to repeat them if you lose and start the game from the beginning. Try again and again until you succeed to finish the games with Miles from Tomorrowland. In this category with Miles from Tomorrowland game you need the mouse in the most of the game to interact, to press the play button and even to complete your tasks in the game, but if you need other button you will be told. In this games with Miles from Tomorrowland you need attention at the instruction. You will get a lot of indications at the beginning of the games with Miles from Tomorrowland and if you are careful you will learn what do you have to do to complete the game, the missions successfully and what buttons do you need. Even if you don`t get indications from the game our team from cute-games.com is always with you and we will tell you what you have to do in the description of the game. In this category with Miles from Tomorrowland game you need a lot of skills as agility, creativity, adventure spirit, a well developed sense of competition and so on to complete your tasks so be ready for anything. The first levels are always easier in this games with Miles from Tomorrowland, to help you get comfortable with the game but you don`t have to hurry to underestimate the difficulty, because as you progress in higher levels you will meet new enemies, new challenges and you will have to work harder to accomplish your objective. If you can get over an obstacle in some game you need to start the level from the beginning. You don`t have to give up, but to try again and be more careful and i am sure you will make a great job in this game with Miles from Tomorrowland. 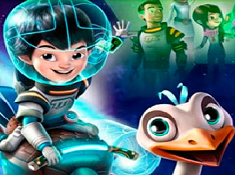 Miles from Tomorrowland is a beautiful series for kids from which the boys and the girls learn a lot about friendship, the importance of team work, the importance of kindness and so on. 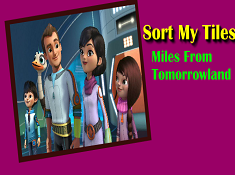 Our favorite character from Disney, Miles, is ready for new adventures with you and only in this category with Miles from Tomorrowland games you will be able to have a great time with our favorite her. With Miles and his friend i am sure you will have fun in this game only here on cute-games.com. The series has in the center the Callisto family who lives in space on a spaceship. All the action takes place in space, not on our planet so you can see aliens and all kind of creatures in this category with Miles. All the family works for a big company called Tomorrowland Transit Authority. Miles is the main character and he is very enthusiastic, he likes to explore, to learn new things and also he is very curious about anything. In the series he is always in move, he want to have a lot of adventures and you have to be ready to go with him in this games with Miles from Tomorrowland. Lorreta Callisto is Miles`older sister and she is the smarter from the two brothers. In the series she always fallow the rules and she is fighting often with her brother because he is a rebel who does whatever he wants and he does not respect the rule, but even worse he brakes them to reach his goal. Her parents call her Starshine because she always does good things and she should be a model for her brother, even though he does not fallow her example. In this category with Miles from Tomorrowland games you have a lot of challenges and you should try to reach the top of the best players to prove how good are you to all the other players. Pay us a like if you enjoyed our games with Miles from Tomorrowland and leave us a comment with your opinion about our her from Disney Junior.